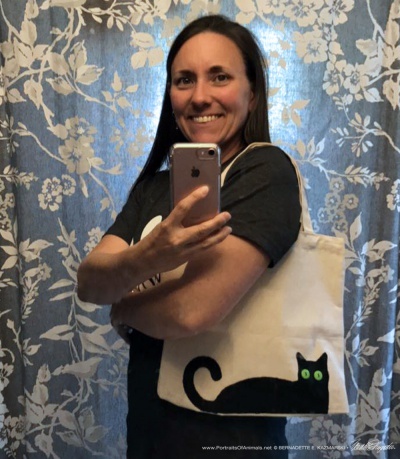 Tote bags make great gifts, and you know you’re supporting my rescue activities with every purchase! 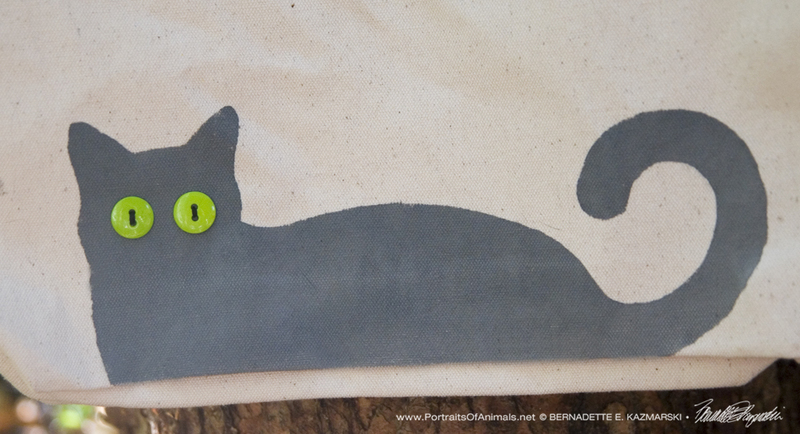 I created a silhouette from Bella and stenciled it in onto a canvas bag and embellished with buttons sewn on by hand. 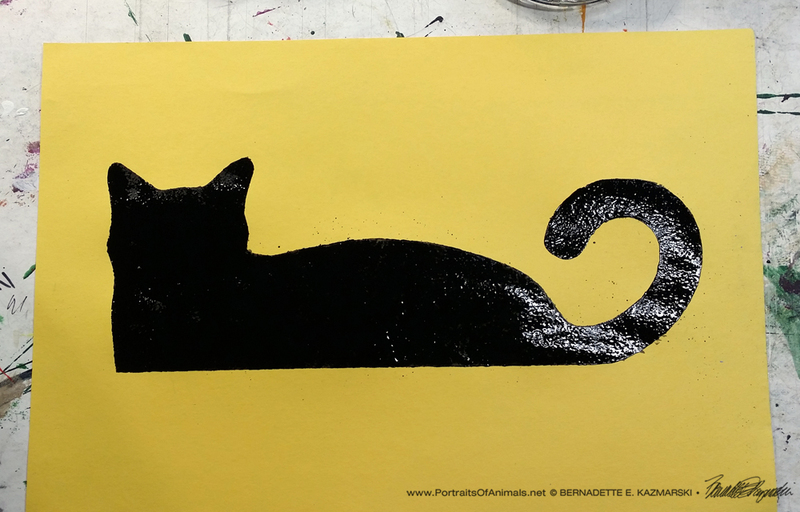 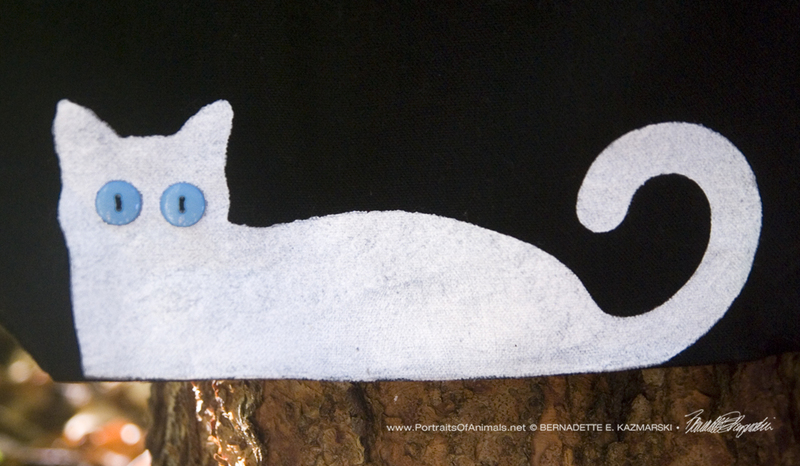 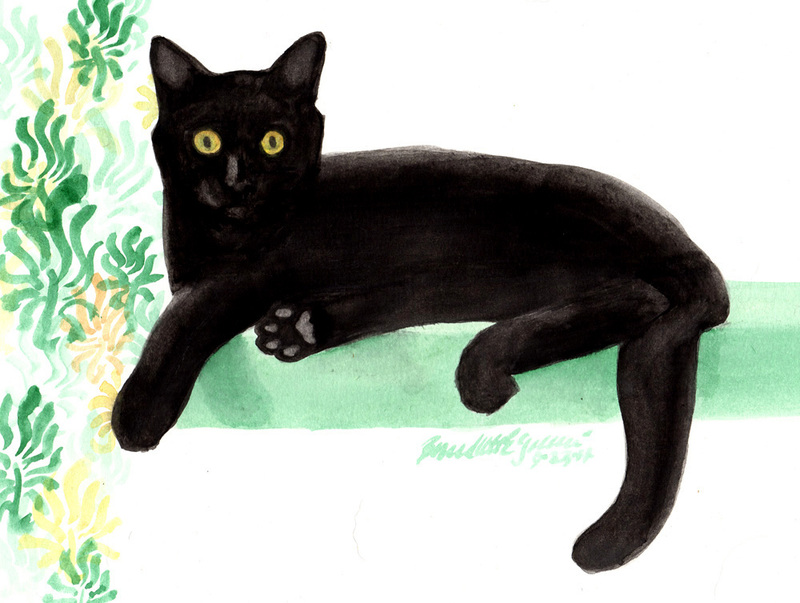 I know that not all kitties are black, despite what my house full of housepanthers try to tell me, and I decided to try out a few other kitty colors that work with a simple silhouette. 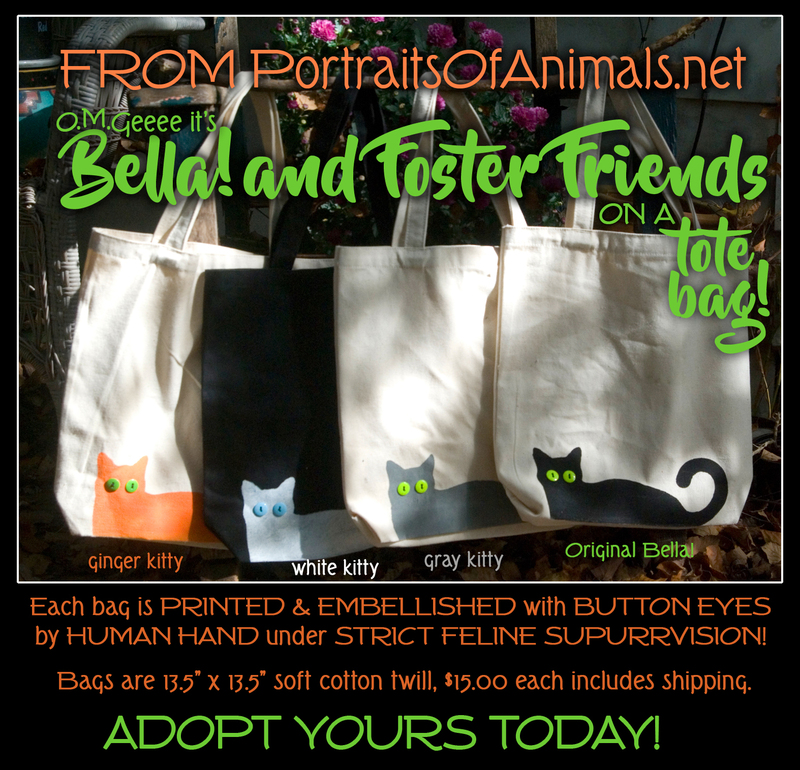 Bella’s friends are white with bright blue eyes, gray with blue-green eyes like Bella’s, and ginger with bright green eyes. 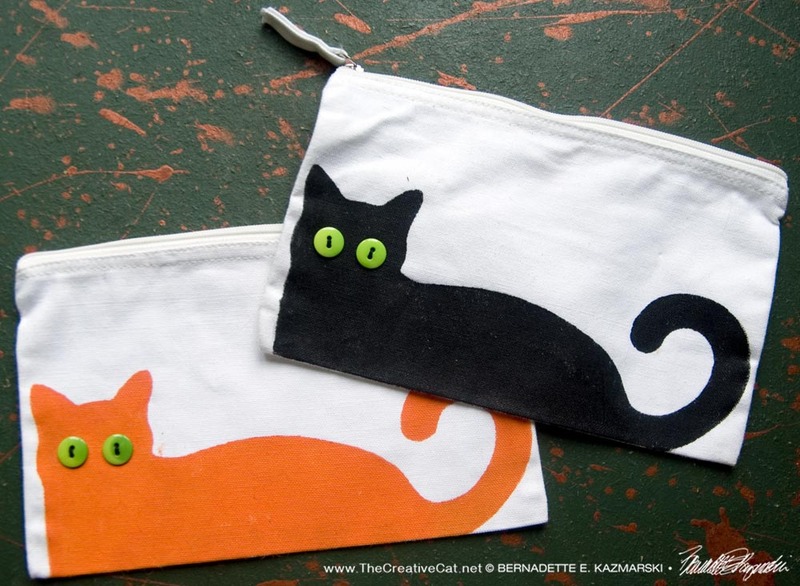 Then I found small accessory bags that were just the purrfect size for Bella! 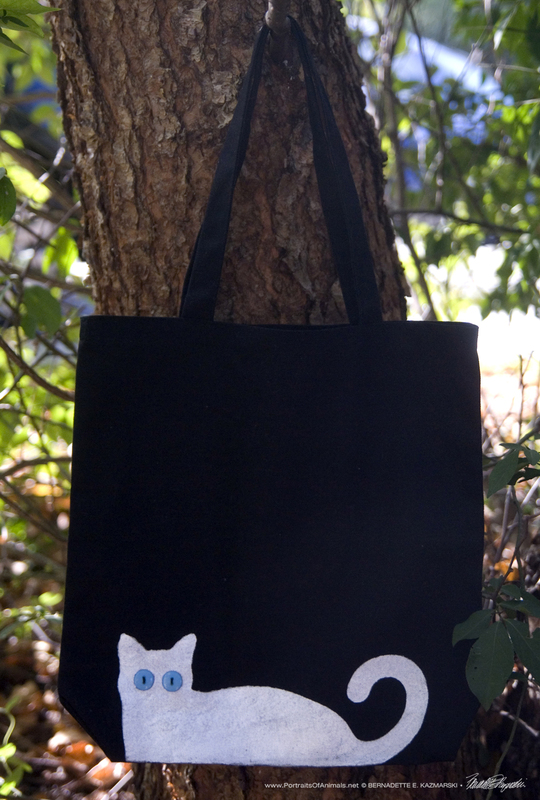 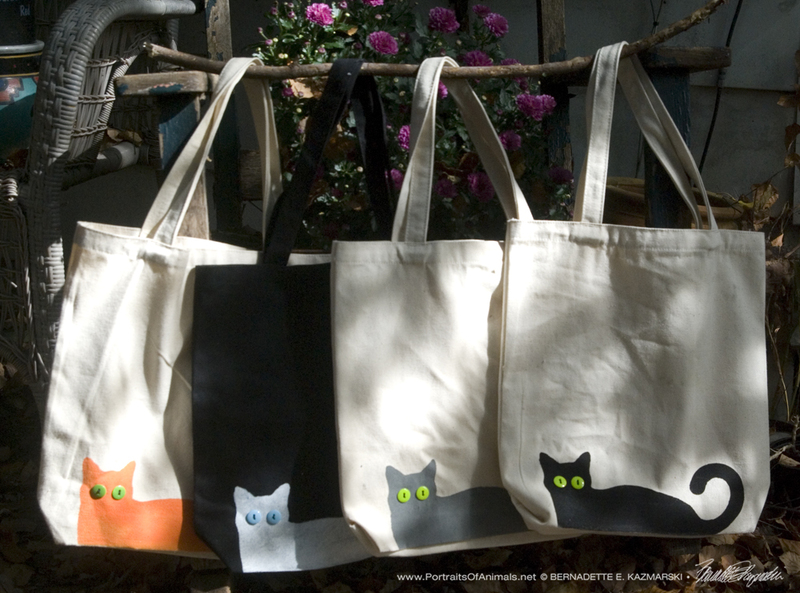 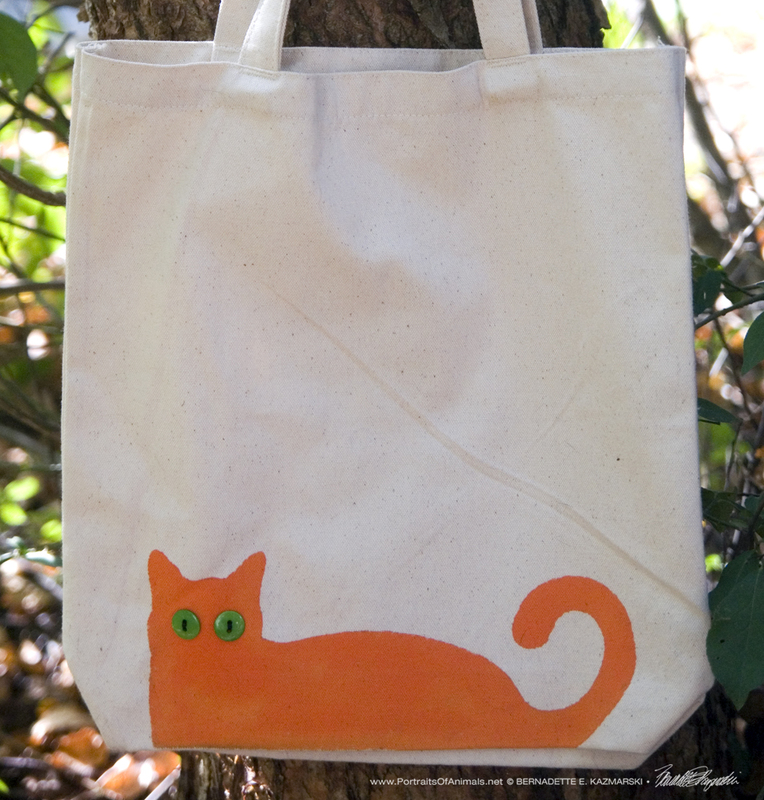 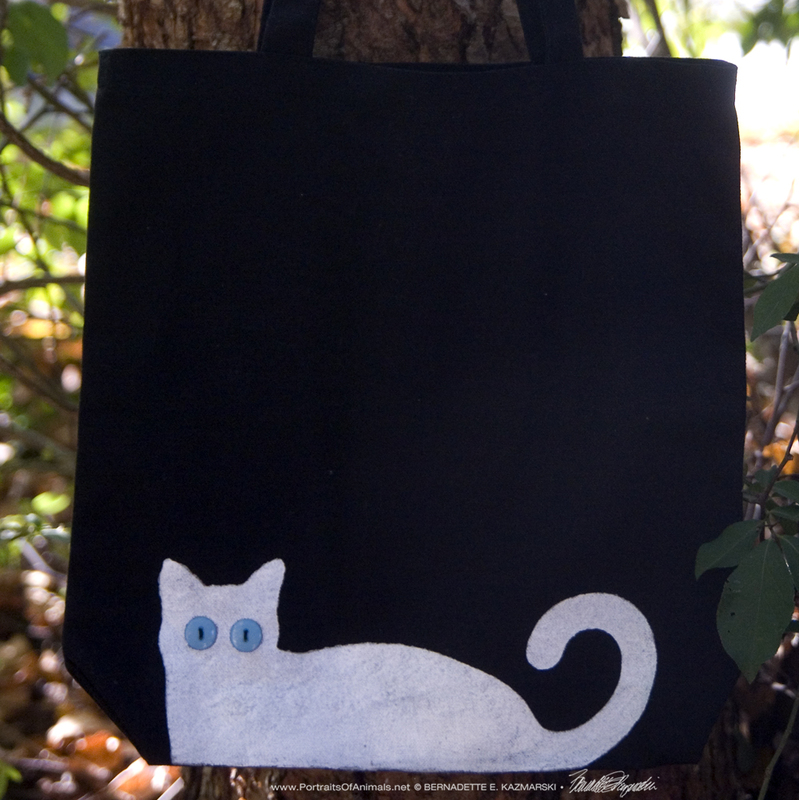 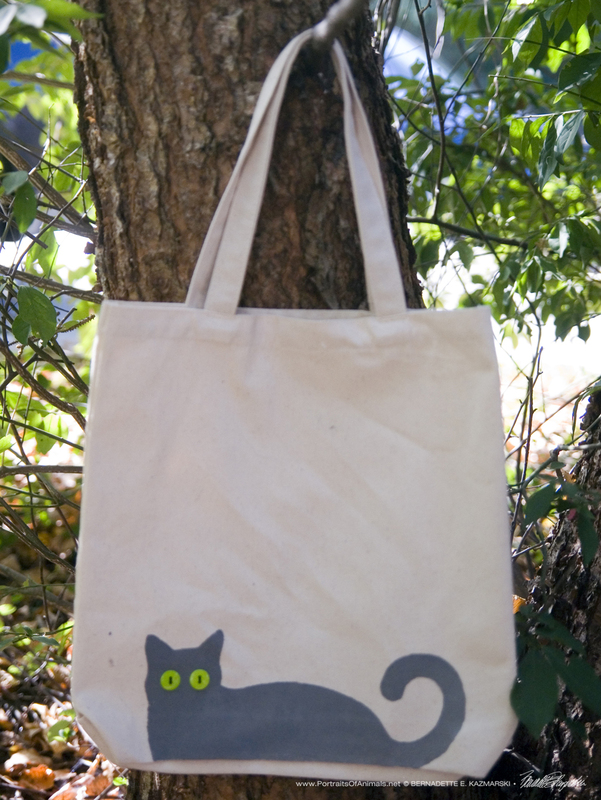 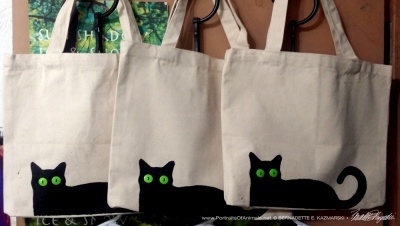 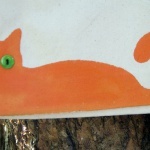 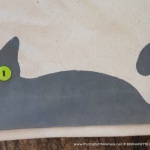 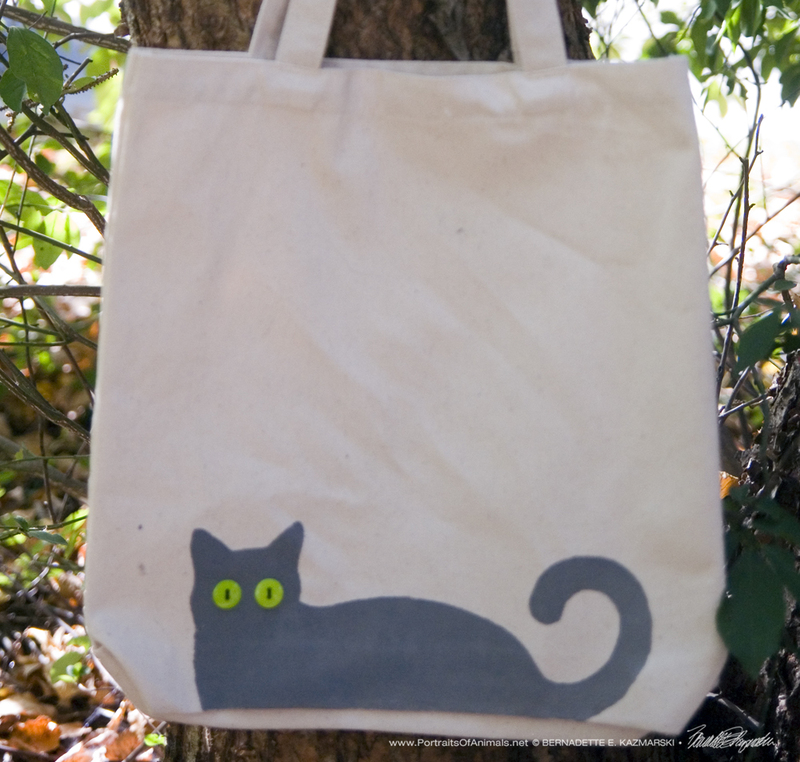 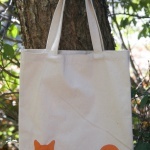 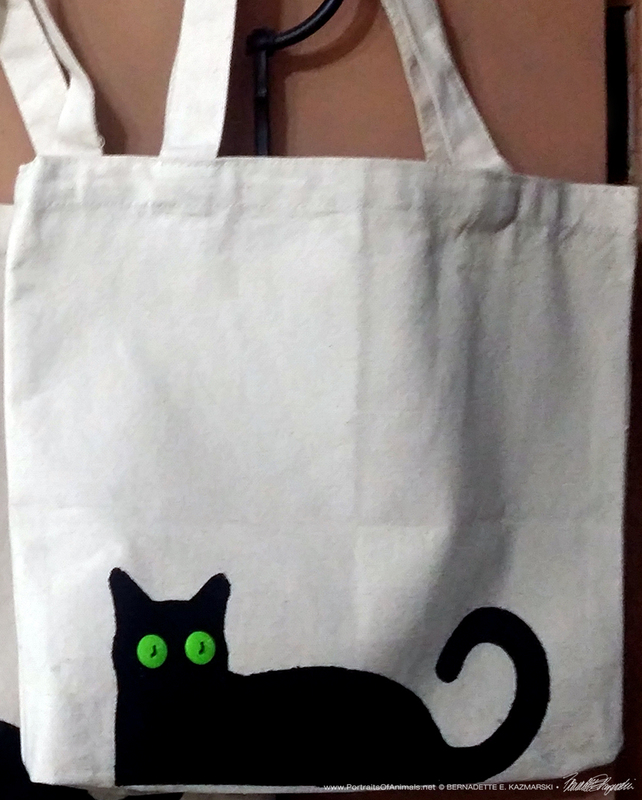 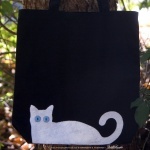 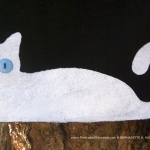 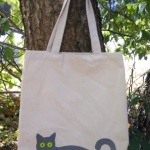 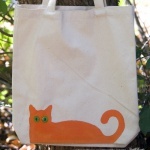 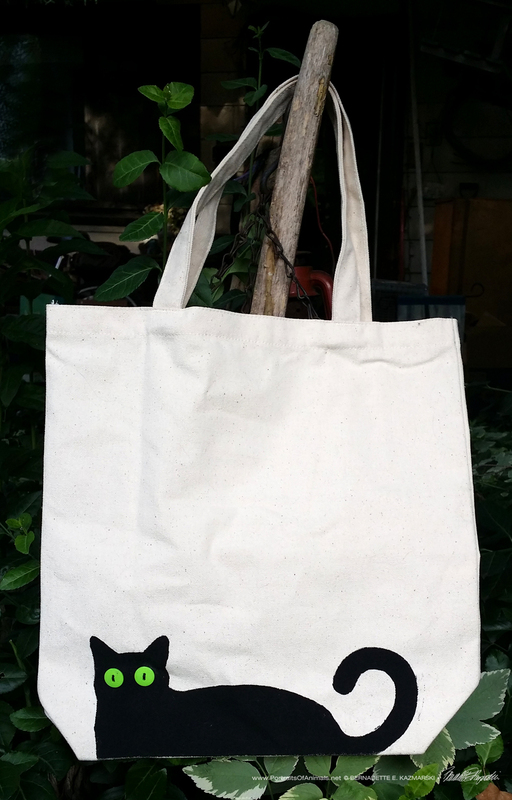 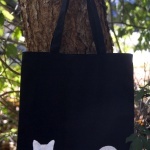 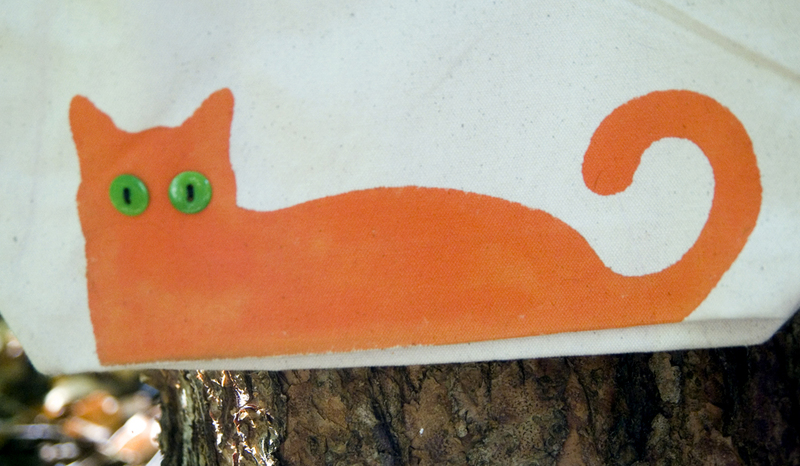 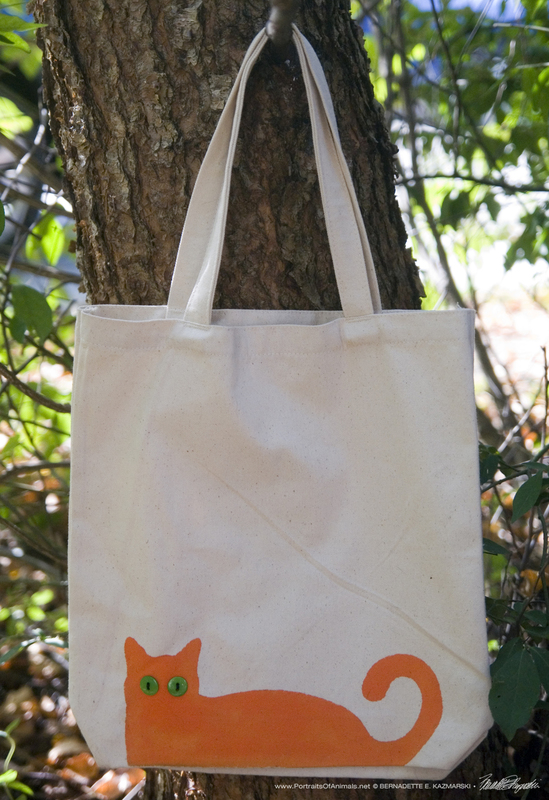 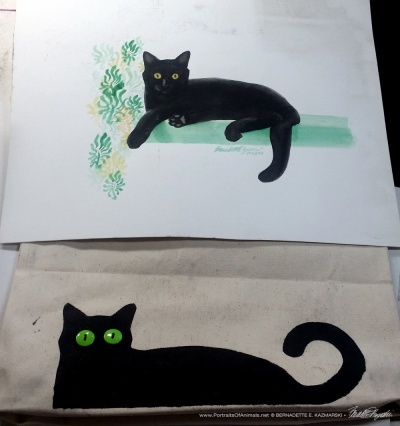 The original Bella and the ginger kitty have been the most popular so I printed bags in those two colors.